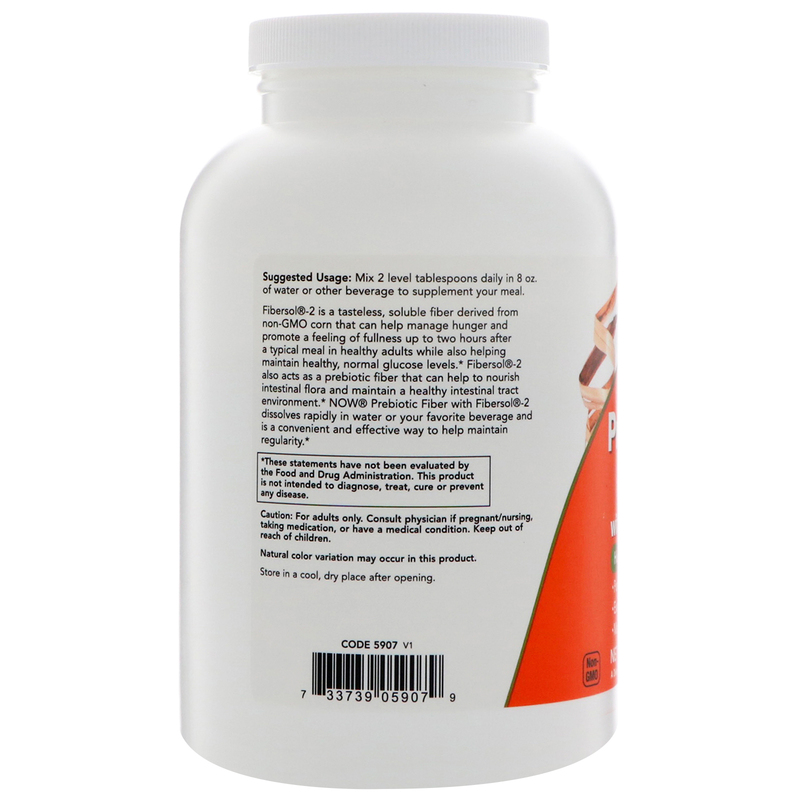 Fibersol-2 is a tasteless, soluble fiber derived from non-GMO corn that can help manage hunger and promote a feeling of fullness up to two hours after a typical meal in healthy adult while also helping maintain a healthy, normal glucose levels. Fibersol-2 also acts as a prebiotic fiber that can help to nourish intestinal flora and maintain a healthy intestinal tract environment. 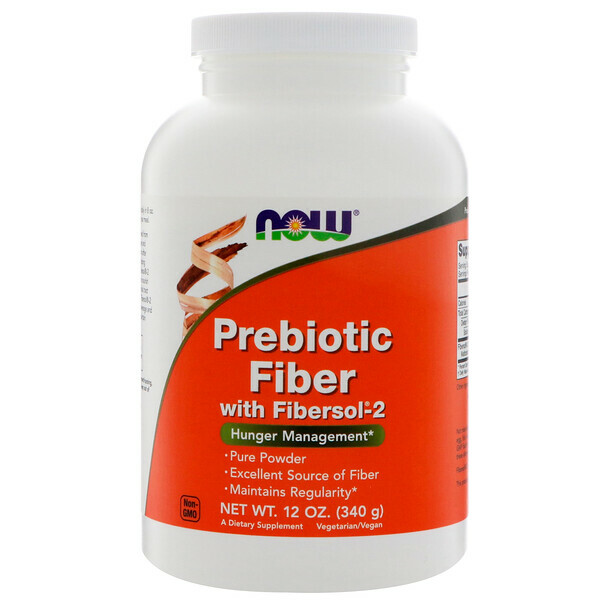 NOW Prebiotic Fiber with Fibersol-2 dissolves rapidly in water or your favorite beverage and is a convenient and effective way to help maintain regularity. 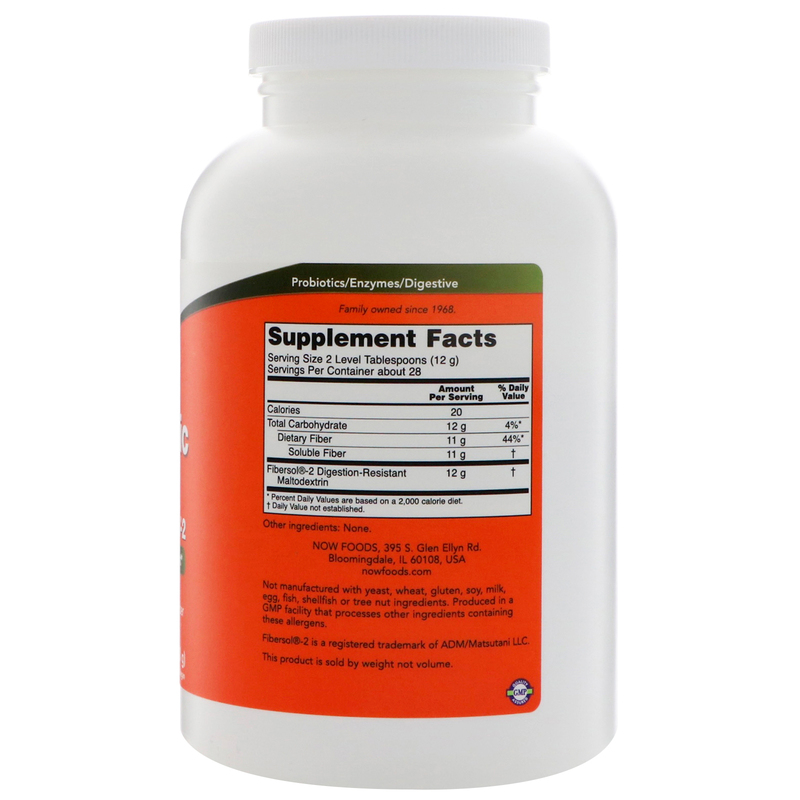 Mix 2 level tablespoons daily in 8 oz. of water or other beverage to supplement your meal.